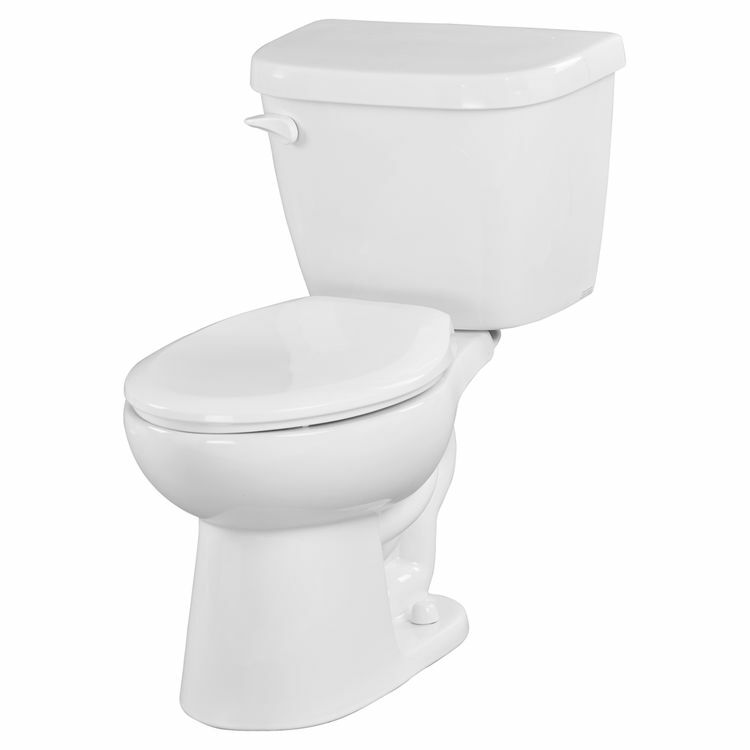 If you're planning to repair or remodel your toilet, then the Gerber MX-21-414 Maxwell is a must-try. The Gerber MX-21-414 is a two-piece bowl and tank combo. It features the dual-fed siphon jet which boosts flushing force, giving you a clean and spotless bowl. With its 14-7/8-inch elongated bowl, seating is made comfortable. 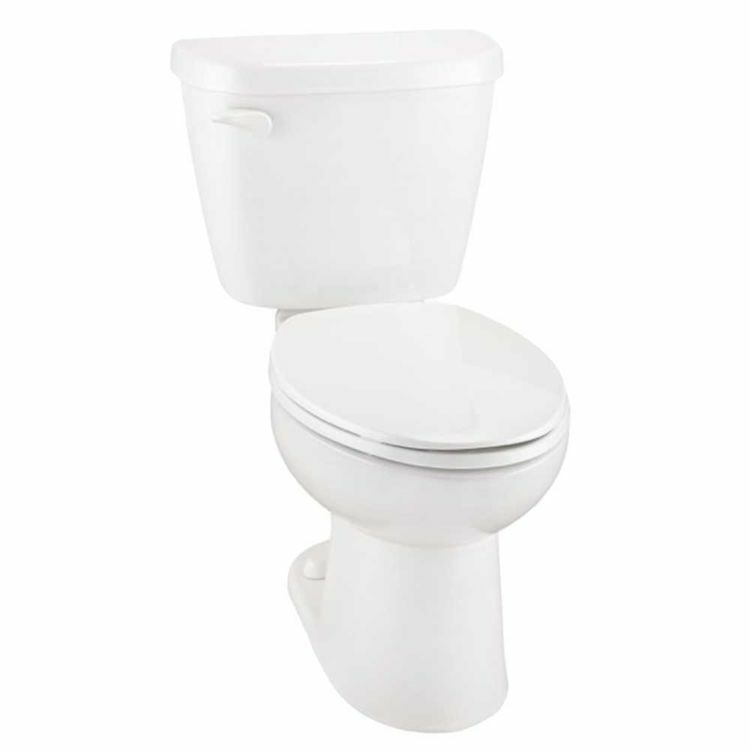 This 14-inch rough-in toilet has a 3-inch flush valve for utmost flushing power and flow rate. It also has a 2-inch glazed trapway for a sleek and glossy surface, ensuring a heavy, full flush. 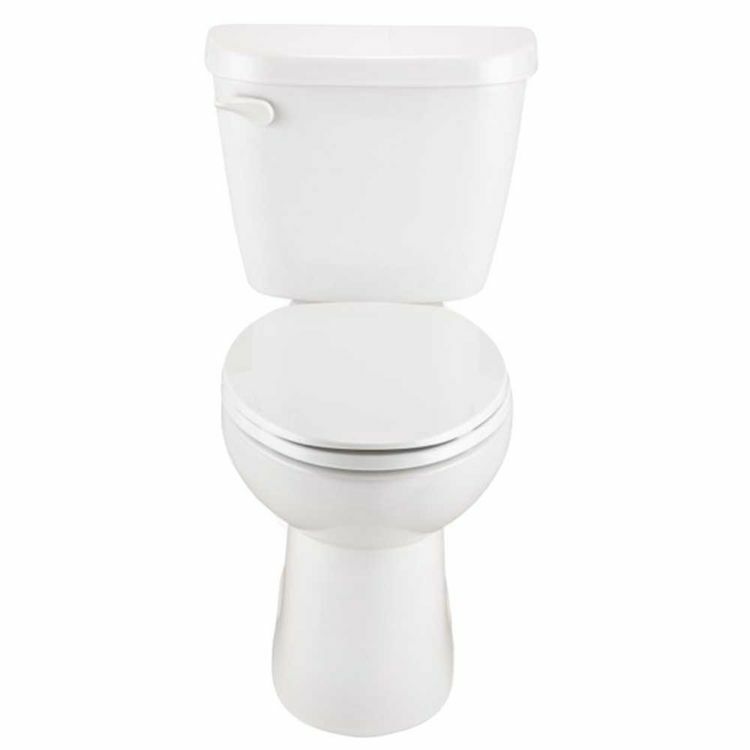 This Gerber MX-21-414 white toilet features a flush rate of 1.6 gallon per flush (6.0 Lpf), helping you reduce your water consumption in the home and save money at the same time. It comes with the following: a sanitary bead, a color-matched tank lever, and color-matched bolt caps. Please take note that this toilet doesn't come with a toilet seat. Please see the specification sheet for further information. Since 1932, Gerber continues to provide remarkable products known to meet high standards for performance and quality. Water Surface - 10 5/8" x 7 1/8"